More than 30 years of Marketing and Business experience. I spent the early part of my career in commercial real estate site selection. Then, over 20 years in marketing, including Fortune 500 companies in CA, founding a marketing consulting firm and 9 years of Director of Marketing for Oregon State University. My Husband Steve is employed at HP - so I am able to keep in touch with some of the changes happening at a major Mid-Valley employer. Specialties in: Residential properties, including new construction, resales, short sales and foreclosures; investment and bare land properties. I graduated from the University of Pennsylvania, Wharton School of Business with an emphasis in Housing and Community Development. I also hold a B.S in business, and B.A. and M.A. in Regional Science (Geography/Location Theory) in addition to several more recent real estate designations. 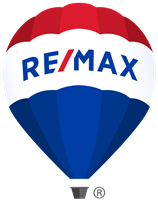 The only Corvallis/Benton County agent to be named one of the top realtors in Oregon by Five Star Professionals six years in a row (2013-2018). Licensed as an Oregon Real Estate Broker since 2005; Principal Broker since 2010. Goal oriented, professional and caring. I participate in many civic and community service activities including the Greater Corvallis Rotary Club. My husband, Steve, and I moved to Corvallis in 1996. Steve is an engineer at HP - so I am able to keep in touch with some of the changes happening at a major mid-Valley employer. I spend my free time hiking the beautiful Benton County trails, traveling, attending cultural events and trying my hand at gourmet cooking for our extended family and friends who dare. You can view my listings and featured homes on my website at www.jillschuster.com, zillow.com, trulia.com or realtor.com. Over 95% of buyers look first online before they'll visit your property - that's where years of professional marketing experience benefit you. For each home, I develop an individualized marketing plan based on your needs - are you patient and willing to wait for the right buyer? Do you need to sell right away to get into your next home? Is your home going to be vacant and needs some extra attention? We'll sit down and talk about you, your home, your desires and your needs and I'll customize a plan for you.